According to Representative Buck McKeon (R-CA) after over eight million hits less than ten, yes that is correct TEN, americans nationwide have actually signed up for Obamacare. The reason is simple economics. Human nature is to maximize individual economic gain while minimizing individual economic cost. Even compassionate progressive liberals hire expensive tax accountants to minimize their IRS bill. It is the same human nature in action. The Obamacare penalty is much lower than the Obamacare healthcare premium. Because nobody can be turned down for pre-existing conditions a person can simply pay the lower penalty now and when they require treatment buy health insurance immediately before receiving treatment. The result is a maximization of individual economic gain and a minimization of individual economic cost. One reason why the Supreme court ruled Obamacare is constitutional is because the penalty is significantly lower than the actual cost of insurance. Herein lies the structural failure of Obamacare. The penalty is too low to force Americans to buy health insurance. We now have concrete proof of this. 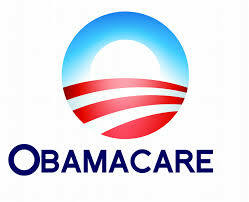 But, if the penalty is raised to force Americans to buy health insurance Obamacare becomes unconstitutional. Obamacare not only has already failed, it failed the moment it was signed into law.